I was recently asked if I painted for 1:24 scale. 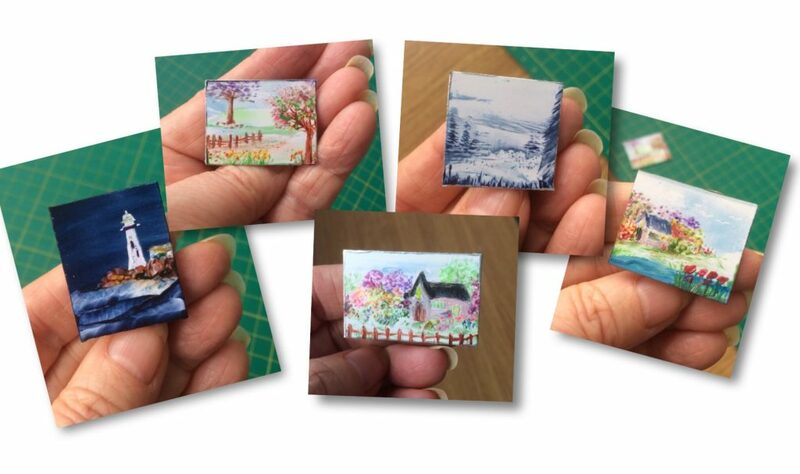 Which I hadn’t before, but I took the commission as you may know from reading my blog I do love a challenge …… I painted a tiny cottage landscape just 1 inch by 1 1/4 inches, following showing this I have sold a couple more paintings for this scale dolls house and been asked to do more commissions. I showed these tiny pieces on Facebook and have had a lot of comments, this has lead me to paint more pictures in the scale and this week I decided to try something different. 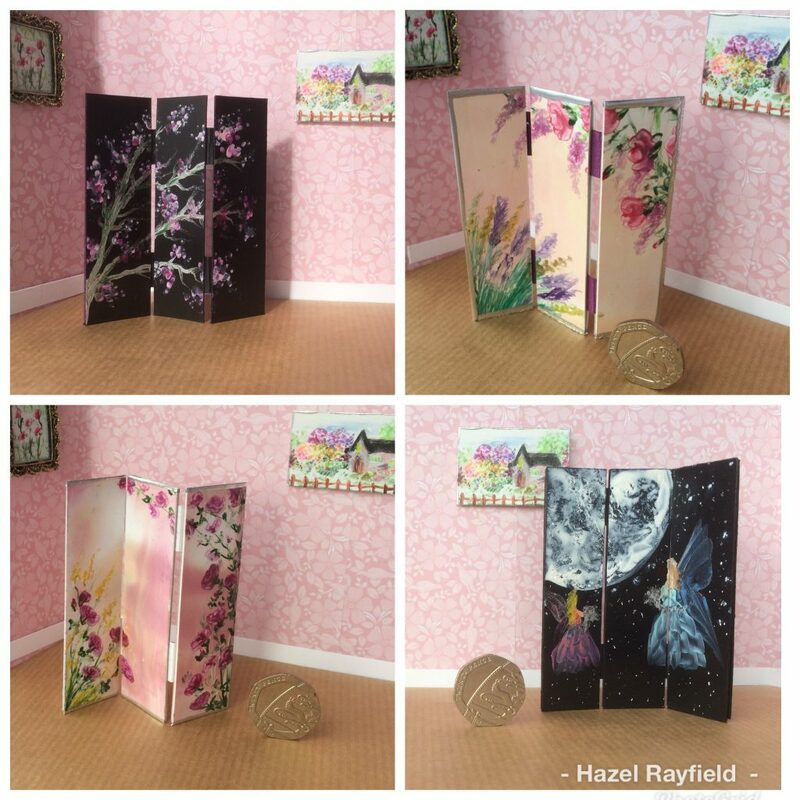 My 1:12 (the size I mostly paint for ) dolls house screens / room dividers have always been very popular. Each being an original painting as a unique piece of miniature furniture. So I decided to try some at this smaller scale. Painted in Encaustic Wax paints on specialist gloss card. I have backed the panels with card and the back has a coloured card backing to cover up the paper tape that creates the concertina effect. Approximately 7.5 cm high with each panel 2 cm wide. They are delicate pieces of furniture. It is great fun and very challenging painting this tiny. Hope you like these new tiny pieces of art and furniture. My Husband Adrian made me this little set up help me get my eye in for this tiny scale. And it makes a lovely way to display the art and screens. I will be painting more in this scale, in fact I have four to paint as a commission for a collector in Scotland who has a country cottage style dolls house 1:24 scale. I will also be listing pieces in my Etsy show over the next few weeks too.